Being an international athlete definitely has its perks. Not only do you get to play the greatest sport ever and get paid to do it, there’re also the perks that only the renown of a football superstar from the greatest team on earth can give. First up we’ve got good old Anderson Luís de Abreu Oliveira and his Audi R8, a mid-engine, 2-seater sports car, which uses Audi’s trademark quattro permanent all-wheel drive system. Next up we’ve got superstar striker Wayne Rooney sporting a sleek Lamborghini Gallardo – Lambroghini’s most-produced model to date with over 10,000 built in its first seven years of production. Interestingly enough, the V-10 Gallardo was actually named after a famous breed of fighting bull. 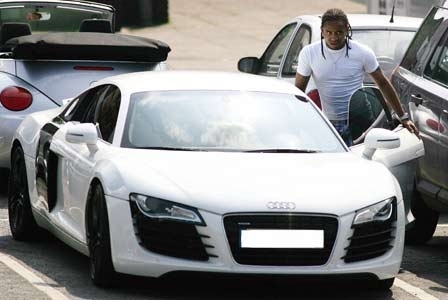 The Manchester UTD FC veteran left midfielder has been seen driving around town in his stylish Audi A6. The Audi A6 is an executive car made by the German automaker Audi AG, and was manufactured as the successor to the Audi 100. 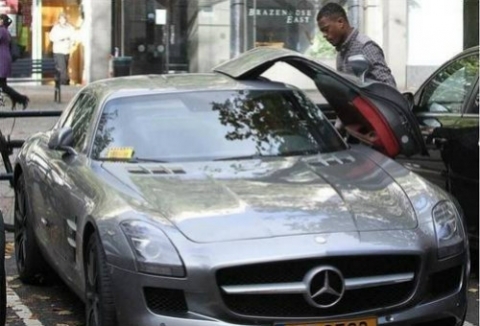 The stalwart Man Utd FC defender Patrice Evra is a proud owner of a Mercedes Benz SL 600 – a sleek and sophisticated ride priced at around £400,000. Although not as flashy as his fellow devils’ rides, Gary Neville’s Toyota Prius is one for the books as it is actually among the first vehicles to pioneer hybrid fuel technology. Clearly our idols are no cheapskates when it comes to getting the finest rides to take them from point a to point b. If you truly wish to compare vehicles amongst themselves, you can see here how different cars stack up against each other. There really isn’t anything quite like being able to say that you have the same car as your Red Devil idol, you know.